DRM's TEP staff will use the information in your application to select the best phone for you. Once you are approved as a lending (no cost) client, we will send the phone directly to your home. Installation is easy; with amplified phones you just plug them into the phone and electrical outlets, and start making phone calls. If the equipment does not meet your needs, DRM staff will do their best to find something that does through equipment exchange. As a lending client, you may keep the equipment for as long as you need or want it, but you cannot give it to someone else, or take it out of the state of Maine. Since the equipment belongs to the state program, you must give us your new address and phone number if you move. If you no longer need the equipment, you must return it to DRM (we can provide a UPS label so you don’t have to pay the shipping costs). If your needs change and you need a different type of phone, or if the equipment breaks down, we will send you a replacement along with a UPS label so that you can send the old equipment back to DRM at no cost to you. If you are approved as a cost-share (low cost) client, you will pay a portion of the cost (on a sliding scale basis) of the equipment you need. We will send you an invoice that is payable by cash, check or money order. Once we receive your payment, we will ship the equipment directly to you. The equipment is yours, just as if you had purchased it from any store, and can be removed from the State of Maine. If your equipment needs repair, DRM staff will refer you to the appropriate repair center or warranty process. Many ‘low’ cost clients only pay $50 for equipment worth hundreds of dollars. Some clients may be eligible to choose either an adaptive telephone OR a single telecoil-equipped hearing aid on a lending basis. In order to qualify to receive an aid, individuals must be over the age of 65 and meet income eligibility guidelines. Anyone who completes the TEP application process and appears eligible for the hearing aid option will be contacted with an acceptance letter and further information by DRM staff. There is currently a waiting list for this program, and we are always accepting applications. For more information about the program, guidelines, the waiting list, or to request an application, please contact DRM. Our staff is also available to assist with the application process or answer any questions you may have. In this one-hour presentation, DRM Communications Technology staff will talk about programs that provide low- or no-cost adaptive telephone and distance communication equipment to Maine residents. Elaine Williams, DRM Communications Technology Manager, will provide an overview of the Telephone Equipment Program (TEP), discussing the types of equipment available to Mainers with disabilities who are unable to use a standard telephone; how to qualify for the program and the application process; and support available to clients after they receive their equipment. She will also provide an overview of the relay services available in the State of Maine that assist with telephone communication for individuals who are Deaf, Deaf-Blind, hard of hearing, or who have difficulty speaking. 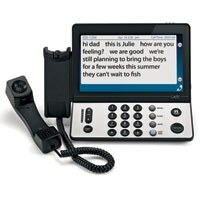 Scott Murray, Coordinator of the Federal Communications Commission’s (FCC) National Deaf-Blind Equipment Distribution Program (NDBEDP) in Maine, will discuss how this program makes distance communication-related equipment available to people with dual sensory impairment (sight and sound); the types of equipment that are available; who may be eligible to receive equipment; and the application process. The presentation will also include general information on hearing loss and dual sensory impairment, including demographics, psychological impact of hearing loss, and tips and strategies to optimize communication.